This is it. It’s one of our smaller we sell but that also means we have a few of these in stock. Wine is a very, very specific business. In fact the science of making wine, enology, is offered in UC Davis and Fresno State. If the world of wine goes as far as getting a college degree for it, then it’s safe to say that your customers are going to demand high standards for your vintages. 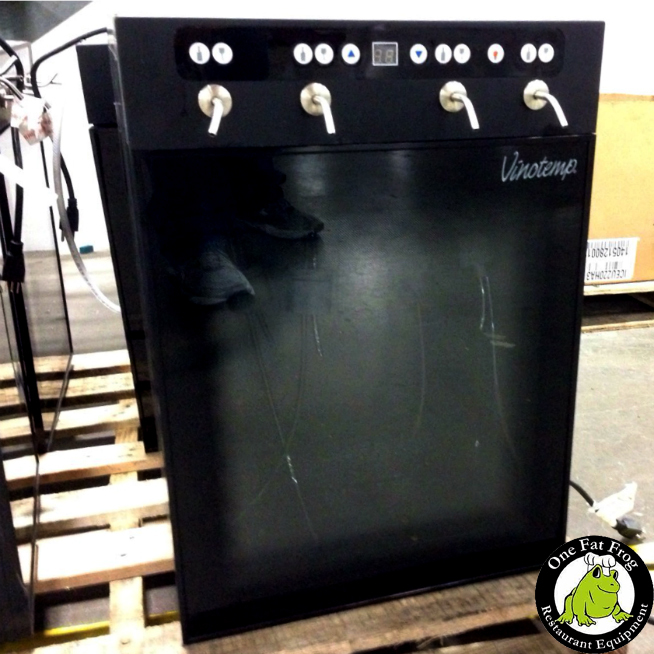 So to make this easier, Vinotemp has a wine dispenser–which we’re proud to have on inventory at One Fat Frog. The Vinotemp VT-WINEDISP4 has, indeed, four nozzles for there to dispense each different kinds of bubbly. From temperate ranges from 46 to 65 degrees Fahrenheit, you have a pretty good range on what kinds of wine to serve. Each bottle section has two buttons–one to dispense at your will, and one to dispense per ounce. If you’re thinking of opening a bar, a wine bar, or a convenient way to serve wine in your restaurant, call us at the Frog at (407) 480-3409, or visit us at 2416 Sand Lake Road in Orlando.